Navigating walk-in or online stores for a mouse is no small task. Especially when you’re looking for an ergonomic design, there’s just so much to consider. The boxes and labels always overwhelm customers with specifications and fancy technical words but rarely do they offer any explanations. If you want to learn a bit more about what makes a good ergonomic mouse (hint: it's wireless), this article can help you. We offer you our top five choices and point out their strengths and weaknesses so you can better determine if they are the right fit for you. We also want to give you a five-point buyer’s guide to make shopping for an ergonomic mouse even easier. What is an ergonomic mouse? What do you do when your wireless mouse stops working? 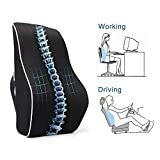 How do you use ergonomic mouse correctly? How do you clean an ergonomic trackball mouse? What are the benefits of an ergonomic mouse? What is DPI on a mouse? Using a trackball mouse definitely comes with a learning curve. Once familiar with using just your thumb, you will notice how superior a trackball can be in gaming or even in programs that require pointer accuracy. 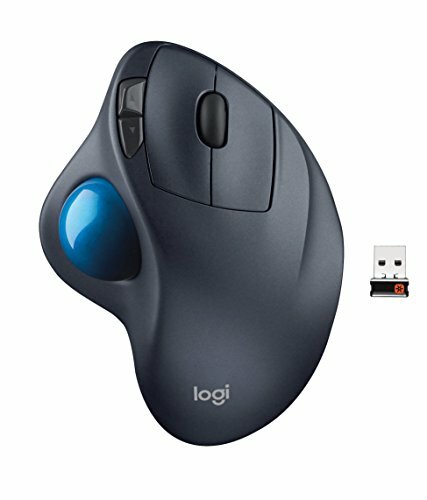 The Logitech M570 isn’t great just because it has a good trackball design but because it’s brought to the market by a company that knows how to deliver PC accessories. The M570 has an ergonomic horizontal design. The trackball is operated by the thumb due to its placement. It lets you browse the internet, edit photos and play shooters without having to move your hand. The battery life is quite long-lasting for a wireless device. The range of the 2.4GHz connection is also impressive as it works up to 30ft away from your main system. The receiver is interesting as it can connect up to six other compatible devices to your computer. Talk about convenience. 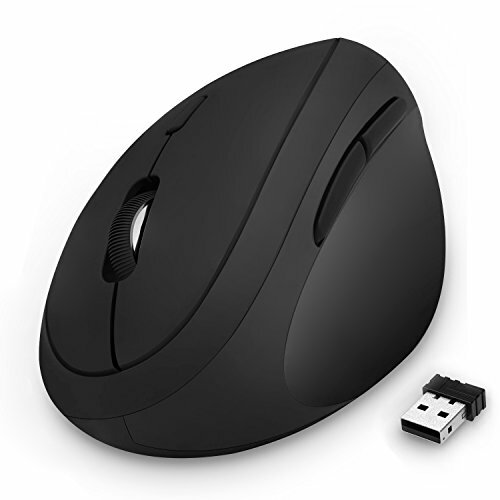 The actual shape of the M570 is more similar to that of a traditional horizontal mouse. That being said, you can use it as a vertical mouse too, depending on your own comfort level and hand size. It’s neither here nor there and it gives you a lot of freedom in grip. The battery life is amazing, especially as it's only powered by a single AA battery. Up to 18 months of life is astounding, my current Logitech mouse needs daily charging. Obviously it's unlikely you'll get the full 18 months, but even with a conservative 6 - 12 months, it's still really good. OK, let's start with the fact that if you're a lefty, then your out of luck as the M570 is for right handed people only. As well as that it can be a bit awkward for traditional mouse users at first as the trackball takes a while to get used to and you're not actually meant to move the mouse around. Great wireless range up to 30 ft. The design of the Jelly Comb vertical mouse is not as radical as other models. While it is a vertical design it is only slightly slanted and it helps traditional mouse users to have an easier transition. The device is also compatible with most operating systems and designed for people with small hands. This makes it a great choice for a wide variety of users across multiple platforms. The vertical mouse from Jelly Comb is a great fit for users with small hands. It’s not a kid’s mouse so adults can also use it with ease. The mouse helps you keep a straight hand, and most importantly, a straight-wrist posture to reduce muscle fatigue. The receiver is a 2.4G USB receiver which doesn’t take up additional desk space and offers a great connection range. With the 2.4G connection and a maximum DPI setting of 1600, this mouse is great for everything from browsing to gaming. Your accuracy will only be limited by your own skills. The mouse has six buttons in total which can let you assign plenty of keyboard tasks to your mouse. However, the browsing buttons will not work on Mac devices. WHY SPECIAL : Unique Design - REDUCE TENSION - Scientific ergonomic design encourages healthy neutral "handshake" wrist and arm positions for smoother movement and less overall strain. It does take some time to get used to using a mouse at a different angle. Once you get used to it, you will love it so much ! The ergonomic design being better than a traditional mouse, but not too left field so accessible to traditional mouse users. The quiet clicking is also great especially if you share your work space with others. It's pretty small so if you're a hands are large you may find that even with the ergonomic design you still get aches and pains in your hands. Whenever a gaming mouse makes a list you just know it comes with tons of features. The Logitech G300s has many buttons and profile customization options. Most importantly, it fits any user as the design works the same for both left- and right-handers. 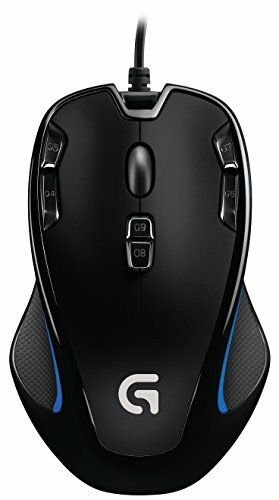 You can assign nine commands to the programmable buttons on the G300s mouse. This means you can either create specific combos for your games or assign commonly used keyboard combinations to the mouse for easier use. You can also use the Logitech software to configure and save up to three presets in the mouse’s onboard memory. The optical sensor was built with gaming accuracy in mind. It goes up to 2500 DPI which makes this mouse great for anything that requires great precision or quick reaction time. Perhaps the most interesting feature is the ambidextrous design. Not only does the mouse work both ways while still providing comfort, it’s the best in its category. Whether you are proficient with both hands or not, you most likely have a preferred position already. Rest assured that the G300s will offer you a smooth grip regardless of which side you choose. The truly ambidextrous yet ergonomic design of this mouse is great as it's available for everyone. While it's a gaming mouse by design, the multiple programmable buttons mean you can set it up for your favorite game or work application (or you know, more games). This mouse lacks the vertical nature of other ergonomic mice, which limits the benefits. That being said, it's still an all round solid mouse. Anker managed to squeeze in enough buttons and features into their budget ergonomic mouse. The vertical design is great for your right hand to achieve a stress-free hand and wrist position. This mouse delivers everything a regular user needs and it does it on a budget. The mouse enters a power saving mode after being idle for eight minutes which increases the life of the battery. Along with the traditional scroll and left/right click buttons, Anker added two thumb controllable buttons for next/previous browsing and a DPI switch. The DPI switch lets you set the mouse to three predetermined values of 800, 1200 and 1600. It can go slow or move at blinding speed when you want to play some games. The batteries are not included but the automatic power saving feature makes up for that. The device is compatible with Windows, Linux, and Mac. However, the thumb buttons are not recognized on Mac OS. Nonetheless, most users can benefit from an ergonomic low-cost design and all functions. Ergonomic mice can often be quite pricey, but this model from Anker is highly affordable, which is great. It also has lateral-access buttons for easy use. The mouse is a touch on the small side, so if you have larger hands you may struggle with this mouse. LuguLake designed their vertical ergonomic mouse for right-handed users. It allows comfortable access to the two main buttons and the scroll wheel while avoiding the need for wrist curling or slanting. This best vertical ergonomic design comes with an attractive price tag too. 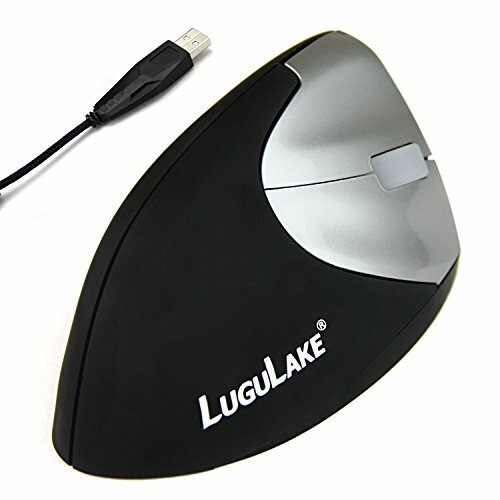 Although it’s not one of the expensive models, this ergonomic mouse from LuguLake has impressive durability. It has a rated lifetime of up to 8 million keystrokes which is not something often guaranteed. The fact that it doesn’t require a wireless connection ensures a rapid response time. Wireless connections are a matter of personal preference. While some prefer the freedom, others appreciate the security of having a cable connection and not having to rely on batteries. The cable is a standard USB 2.0 model so it is compatible with most devices. The optimal sensor is limited at 1000 DPI but for anything short of intense shooters it is more than you’ll ever need. The mouse doesn’t have additional buttons on the sides which is great for first-time users of vertical designs. Too many buttons can be annoying at times for new users as they are easy to click by accident. This mouse is durable! With a guarantee for 8 million keystrokes, it's goign to last you quite some time. The ergonomic design is excellent and actively helps reduce your muscle and tendon stress. I'm pretty sure mouse manufacturers have something against left handed users, as the LuguLake Vertical Mouse is also only for right handed users. As well as that, it's a wired mouse which is unfortunate. When you’re shopping for an ergonomic mouse, there are many features to consider. It may seem overwhelming at times since there are cheap models, expensive models, gaming models and so much more to choose from. It’s important that you focus less on the label and more on the features that make the mouse a better fit for you. Only you know what type of activities you do which might require a particular mouse. While we can’t know what your perfect fit would be, we can surely help you narrow it down for yourself by following some basic guidelines. Here are the basics of what you should look for when buying an ergonomic mouse. There are five main categories of ergonomic mouse designs. You have your choice of optical, mechanical, trackball and gStick. Optical mouse designs are the most popular as they are very responsive. Trackball mouses are making a comeback although it’s not a popular trend quite yet. Trackball mouse designs are not very beginner friendly. It takes time to adjust to having a static mouse and using your thumb to drag the cursor instead of using your entire hand. However, once the adjustment period is over, you will find that a static mouse with a trackball offers one of the most relaxing user experiences. A gStick mouse offers extremely high precision due to its pen-shaped design. However, that doesn’t make it too efficient for general use and certainly not efficient for most games. Besides, holding a pen for long periods of time is not exactly ergonomic. Whether you want a wireless mouse or a corded cable mouse is a matter of personal preference. When it comes to ergonomic mouses, the connectivity method doesn’t influence the actual hand positioning. The differences are noticeable in other areas. A wireless mouse will have a higher chance of not working when you least expect it since it runs on batteries. Going for a mouse that fits your hand perfectly is the key for making full use of an ergonomic design. Your hand posture won’t be comfortable if your mouse is too small. However, it’s not the same for a larger mouse. Because you don’t have to press the left/right buttons at the far edge to trigger a response, you can use a larger mouse and still maintain a stress-free position of your wrist and arm. More buttons don’t always make a mouse better. Sure, they have their applications in gaming but for the average user they can be confusing. If you do decide to choose a model with multiple buttons and preset functions, pick one that has a nice layout. Buttons placed too low on the side can be accidentally pressed at the most inconvenient of times. A DPI switch is not always necessary but it is nice to have as it saves you the trouble of manually adjusting the sensitivity on your computer. Remember that most games can override the DPI setting by default so you will need to readjust in-game. This is why a DPI switch is not as important as an on/off or idle switch in wireless designs. The weight of the mouse can be slightly inconvenient at times if you rely on a high cursor speed. Most gaming mouses are a bit heavier because they require two or more batteries, onboard memory chips, more buttons, and thus a bigger casing. Although visually appealing and very customizable, a gaming mouse might not always be a comfortable choice if you’re just an average PC user and mostly spend your time browsing. In any event, there is one instance when weight is not important at all. Trackball mouse designs are static so you don’t have to worry about moving it around your desk. An ergonomic mouse is a mouse designed for comfortable hand posture, most of the times in a vertical design. They allow you to have a better grip on the device to reduce muscle fatigue and avoid inconvenient and unnecessary movements. Vertical ergonomic mouses let you keep a resting forearm position and use only your thumb to control your cursor. They also allow you to use your upper hand only to control the cursor. What’s a common trait among ergonomic mouse designs is the focus on keeping the wrist in a comfortable position and eliminate the need to actually twist it and turn it to get around the screen. 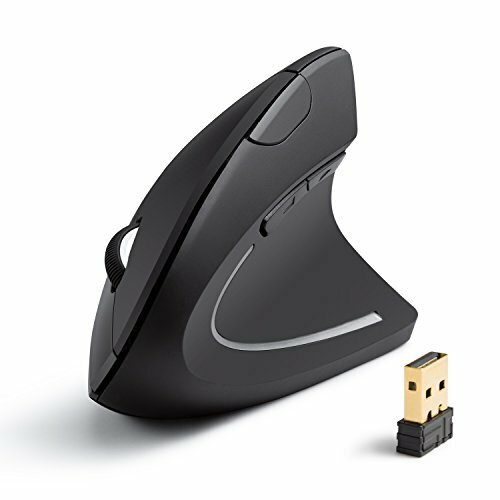 Installing a wireless mouse on a new device is often as easy as plugging in the receiver and turning the mouse on (if it has an on/off switch). Just remember to put in the batteries too since they are rarely pre-installed. If that’s not doing the trick, check to see if the mouse and the receiver have reset buttons. If they do, you might want to check the manual and see if they have to be pressed in sequence at specific intervals or at the same time. Not all devices go through the same process for establishing a connection. For the most part, any software you need should be automatically installed once you insert the receiver on your computer. 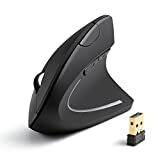 If you buy a mouse that comes with multiple profile settings and programmable buttons then you might have to download additional software from the manufacturer’s website or use the stick that comes with the mouse. However, this is an additional step as in most cases, your mouse will function properly without having to install support software for personalized settings and button customization. There are a few common reasons why a wireless mouse might stop working and they usually aren’t cause for concern. They certainly don’t require calling the tech support line. The first checkup you can do is to reset the wireless device. Try reconnecting the mouse based on the manual’s instructions. This can mean reconnecting the wireless receiver or pressing a reset button on the bottom panel of your mouse. In some cases, it can mean pressing buttons in sequence on the receiver and the mouse. Again, most devices are different so check the reset instructions in the manual that came with the mouse. If that doesn’t fix the problem then your battery might be depleted. The only reason why we check the connection first is because few people keep batteries on hand. It’s faster to reset the connection than it is to look for batteries, or worse, go shopping for batteries. Once you put in fresh batteries you might need to also reset the connection. Whether you use a vertical or horizontal mouse you should always keep it to the side. Just because you use a mouse with a trackball you shouldn’t have to overextend your arm to reach it. The mouse should always be at a comfortable distance from you. Not everyone uses a mouse pad but having one is not a bad idea. The surface offers some level of protection for your mouse and it also elevates it slightly. 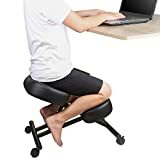 This allows your hand to assume a more rested position. Keep in mind that using a mouse has a lot to do with muscle memory. Because of this, it can sometimes be hard to maintain a proper grip when you’re really learning. It’s generally best that you avoid wrist curling and slanted hand positions early as it can become increasingly hard to readjust later in life. Vertical mouses are not something new but they are not overly popular either. Despite them feeling weird to use at first, the motions used are natural ones. Everyone is familiar with the handshake or using a traditional joystick. Working with a vertical mouse is basically the same thing as it requires you to use a vertical grip that puts your wrist and forearm in a natural position vis-à-vis your shoulder. Most tracking balls are held in place only by friction. This means that they are easily removed without having to use any tools. To make the job even easier, hold your mouse upside down and let gravity help you out. Once you notice the ball becomes slightly dislodged, pull it out with your fingers. Now that it’s out of the way, start wiping the mouse with a damp cloth. Be extra careful not to damage the laser sensor of the ball. If dust has accumulated on the sensor or very close to it, you might want to use a cotton swab to clean it. As long as you use gentle strokes and soft materials you should be just fine. The main benefit of an ergonomic mouse is that it reduces the amount of strain you put on your hand. A traditional horizontal mouse can lead to chronic wrist pain or finger pain. Nothing as severe as the carpal tunnel you can get from smashing the keyboard 15 hours a day, but it is still an inconvenient side effect. The most ergonomic mouses are vertical mouses shaped to simulate the handshake position. This is needless to say a very natural position, one that puts less strain on your muscles and tendons. However, you may not notice it at first, especially if it’s your first time using a vertical mouse. Furthermore, you are no longer required to use your wrist to move the mouse. You can use your entire arm, thus your larger muscles, which are not so easily fatigued. The resting forearm position also helps with this. DPI stands for dots per inch and it is the standard used to measure a mouse’s sensitivity. The higher the value the more dots per linear inch the device can detect. Tinkering with DPI settings can be done from the mouse settings window on your OS. Some devices come with DPI switches that let you physically change the sensitivity higher or lower continuously or according to some preset values. While it may be intimidating at first, buying an ergonomic mouse is not that hard if you have the basics down. Out of all the reviewed products we prefer the G300s model from Logitech as it is the best ambidextrous mouse and frankly the best one overall. Although it doesn’t have a vertical design, it still enables a comfortable hand position no matter which side you want to use it on. It has many programmable buttons and the ability to save up to three different profiles. It also has a high DPI range of up to 2500 which makes it perfect for gaming. While we do like our G300s, we can’t help but mention the impressive budget-friendly option from Anker. It is simple, doesn’t rely on batteries, and comes in the most ergonomic vertical configuration without making a big dent on anyone’s finances. Previous Post What are the Best Standing Desks? 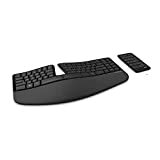 Next Post What are the Best Ergonomic Keyboards?